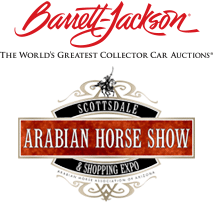 (SCOTTSDALE, Ariz.) – Andrés Camacho eats, breathes, and lives polo, “the sport of kings.” There is no doubt that Camacho is beyond excited for the 5th Annual Bentley Scottsdale Polo Championships: Horses & Horsepower on Saturday, October 24th at the WestWorld of Scottsdale. His team, the Scottsdale All-Stars Polo Team, will take on the San Diego Polo Club at 1:00 p.m. in the second of three high-octane polo matches. in Colombia, he and his brother would accompany his father to polo matches at the Polo Club of Bogota on weekends. He continued playing the sport after moving to Arizona in 2010 to pursue his MBA at the Thunderbird School of Global Management. Camacho even met his wife, Natalie, on the polo field. 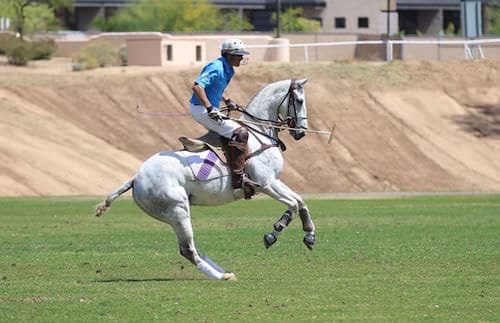 Camacho is one of the best polo players in Arizona’s history and is currently the highest rated player in Arizona, and plays for the Scottsdale All-Stars Polo Team. Players have handicaps from -2 goals to 10 goals, with 10 being the highest. At any given time, there are perhaps only 10 to 15 players in the world with a perfect handicap of 10-goal. The Bentley Scottsdale Polo Championships expects to draw over 15,000 attendees to take part in “America’s Most Interesting Polo Event.” Along with all the unique happenings that make this event truly spectacular, the on-field polo competition is the fiercest in the nation and Camacho will showcase his talents with his Scottsdale All-Stars Polo Team teammates against the San Diego Polo Club. To set up an interview with Andrés Camacho, or for other media inquiries, please contact Jennifer Parks at 480.495.3806 or by email at JParks@RoseMoserAllynPR.com. Photo of Andres and Natalie Camacho courtesy of Kathi Lutton. Photo of Andres Camacho courtesy of JTS Photo.